Reading a story about a federal government employee in the US I decided to write my story here. I worked at one of the federal government departments in Canada. I was mistreated by my boss for about a year but didn't say anything. Later, I got fed up so I told his boss about this. His boss's most preferred suggestion is for me to talk to my boss. So I did and expressed how I felt. Things got worse. This boss told other coworkers about what happened. He then along with his friends/clique (including people in my unit) started a public smear of me, portraying me as the "harasser" and pretty much spread lies and false accusations of me. There was a female coworker who I thought was friendly at work. She asked me certain questions about things that happened to me in the past. She was secretly recording my conversation with her and she started to also join in on the gossip just to fit in with the clique. A male coworker who I thought was a friend did the same thing. My character is pretty much assassinated at that workplace. Even the boss' boss joined in with the clique. This boss and this boss' boss are mounting an effort to try to fire me. Told the union rep about this but is not helpful. I filed a harassment complaint against my boss but the high level senior manager ruled that it was not harassment without even investigating this. The boss' boss and one other coworker cheered this ruling. The boss' boss later wrote to me to suggesting that I was rather making the environment unsafe. He threatened disciplinary action if I didn't talk to the person who was harassing me (my boss). I never returned to work because I became ill. Went away on sick leave (certified by my doctor) and never returned to work since. This so called boss' boss had been trying to make unwanted contact during my sick leave and tried to block me from obtaining benefits, even though I'm eligible, to recover from this illness. Thus it is difficult to me to obtain treatment and making it hard to recover. This sounds terrible! People should never be allowed to do this. Did you keep a log of all the things your boss did? I can't believe your union wouldn't support you. Some politicking going on here I suspect. I have decided to go to a lawyer and see what my options are for suing my boss as this is the second time she has tried to get me fired or make me quit. One thing that helped me was to do some volunteer work - you might consider this when you feel better. Just to boost your self esteem. Also, make a list of your accomplishments on the job and personally. Start boosting your own self worth. Good Luck! I know excatly what you are going through. I worked for the Federal Governement in Australia. 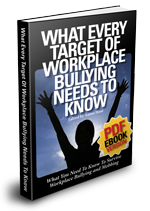 The Workplace Bullying started for me because i did not support my acting supervisor's behaviour towards another co-worker. The Workplace Bullying and Harassment last 1 year and 7 months before i was forced to resign due to major health issues. I am fighting for worker's compensation even though they have rejected my claim twice stating that it was my employers right to treat me like that, i can not hold a job, i have major depression, anxiety, panic attacks, PTSD and have developed Agoraphobia (the fear of leaving your home). I have even thought about suicide. I have been in the care of a psychologist for almost 3 years, and not am in treatment with a psychiatrist and looking at medication for the rest of my life and at 32 looking at be put on a pension. I feel your pain, after 2.5 years of character assassination, sabotage, contempt and loud rude outbursts I finally filed a complaint against a serial bully sociopath and won. A lot of good it did me, a letter on his file to go with the rest of the collection, The canadian civil service is a disgusting joke and treasury boards harrasment policy should read harrasment tolerated here. Harrasment is condoned and management is complicit, it's nothing more than lip service. I'm left to deal with the depression anxiety, anger and feelings of betrayal. There is no support for victims just mollycoddling of abusers. Plain and simple, get yourself a lawyer! There is a Treasury Board Directive on the Prevention of Harassment which MUST be followed. It's not optional. If there was misconduct of the handling of your complaint by your manager, then get a lawyer, or get your union, or both to help. Managers do NOT have the right to dismiss your allegation of harassment by making you talk to the harasser. It is only one avenue, but is not mandatory. No harassed employee is forced to speak to the harasser. The government of Canada is legally responsible to follow up on your complaint. If they do not, you can sue for damages, as well as defamation of character, and wrongful dismissal. You may feel sick, and tired, but look into it. 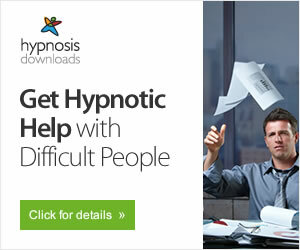 And get some emotional support through counseling, etc.. Good luck.